As another season approaches, so too does the time to rethink our wardrobe setup. 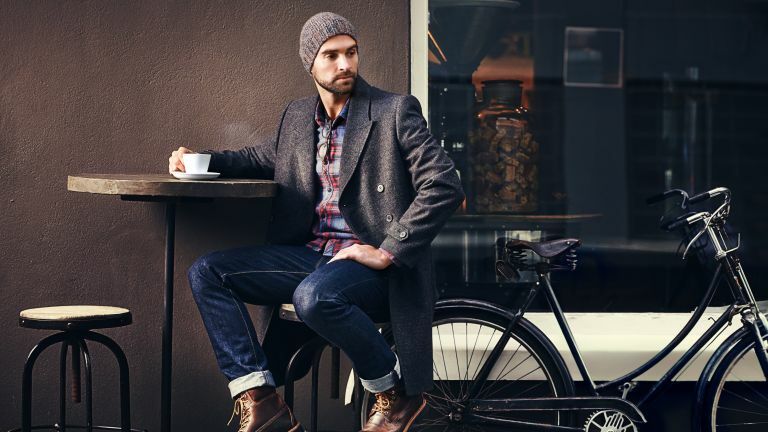 Spring is almost here and that means no more winter coats and heavy boots, but it also means you can get strategic about layering. But that doesn’t mean you need to throw out your entire wardrobe and start over – a thoughtful refresh is a good starting point. Investing in some new basics, lifting your layering game and integrating brighter colours are all solid approaches with how to dress for spring. Let’s take a look at seven ways you can do this with minimal fuss, a broader set of choices and without breaking the bank either. Adapting the colour selection of your clothing is an absolute must for getting yourself into spring style. The simplest approach is to include brighter shades of colours you already like to wear – this makes it easy to integrate new items into your wardrobe. Aside from blue and green, you could go for pastels to add some softer hues to your outfits. If they’re not already staples of yours, then while deciding what to wear this spring could be the perfect time to get some. Pairing pastel colours together is also a good way to make your outfits pop out and look more bold. Just as we did in autumn, spring is a time of year to lift your layering and outerwear game. This lets you get creative while also serving the practical purpose of adapting your outfit to the often daily weather changes or just your own body temperature. Around this time of year you probably won’t need a middle layer, just inner and outer layers. This could be a T-shirt/jacket combination of which you might match the colours or textures to create some interplay. And remember to keep your layers consistent – so if you’re wearing a solid colour or vivid pattern as your inner layer, then it’s good to alternate with a heavier/lighter outer layer so they balance out. Dressing for spring is about being comfortable in warm or cool weather along with getting layering right. A polo shirt is a solid wardrobe choice not only because of its versatility, but also as a foundation for layering. Polo shirts work well on their own when the sun is out, but as you’ll probably wear one with a jacket at this time of year, a colour-matched pairing opens up the styling options considerably. While you could opt for a bold spring colour like blue, green or purple, going for a neutral will make it easy to work it into an outfit you wear regularly. Something worth bearing in mind as you rejig your work attire for the changing season. If it's still a little too cold for a polo shirt, you could try a rugby shirt from Crew. These are a similar style but are made from thicker, warmer fabrics. You've probably grown used to the tweed and herringbone suits you wore during autumn and winter, so spring is the time to make some tweaks. While you could definitely go for a light woollen suit with minimal or no lining, a breathable cotton suit is the best way to go. The other major factor that will differentiate your suit choices in spring will be colour. You'll want to go lighter more often than not, so that would perhaps include a take on your classic navy suit and, if you're feeling up to it, perhaps even full khaki. You should also stock up on staples that can be worn in a mix of situations, rain or shine, like a few rugged pairs of trousers. One easy score here is some new chinos that are good for the office and can be dressed down for weekends away or social events. A slightly heavier fabric like corduroy is a good choice as well, with it still being too cold to bust out the track pants or shorts for most of spring. This is also a good time to invest in new jeans, such as a quality pair made of selvedge denim. While you might go for black or darker shades of indigo in the winter, spring calls for lighter shades of blue, or even a washed look. This can also tie in nicely with a refreshed wardrobe palette, such as the pastels you’re now matching with. If you live in the northern hemisphere, spring is the first time of year when it actually makes sense to go outside in sneakers. Bearing in mind that there’ll be the inevitable rainy periods which make it easier to stick with leather shoes, getting sneakers this spring will add new levels of comfort to your spring style. The best spring sneakers include runners like the Nike React or Adidas Ultra Boost if you’re after the athleisure look. Then there’s the tennis shoe like the Stan Smith in white, or even a minimal sneaker like the Achilles from Common Projects. The latter is also ideal for dressing up if you want to wear them in a more professional context. And as is the most common theme with spring attire – there are plenty of ways to colour-match with your sneakers to lift your style as the new season arrives. Spring is the time of year when the days are longer and brighter – that spells an opportunity to integrate sunglasses into your outfits. This is especially handy if you commute to work by car. The classic option here is a pair of aviators that work seamlessly with a range of spring attire, such as denim or a light waxed-cotton jacket. That’s not to mention that a pair with lenses offering some form of eye protection are an added plus. Not only should you go for a colour that matches your current style, but you can also match sunglasses with another accessory like a silver watch. It’s easy to slip into the habit of wearing the same glasses year in and out, so this could be the opportunity to try something different.